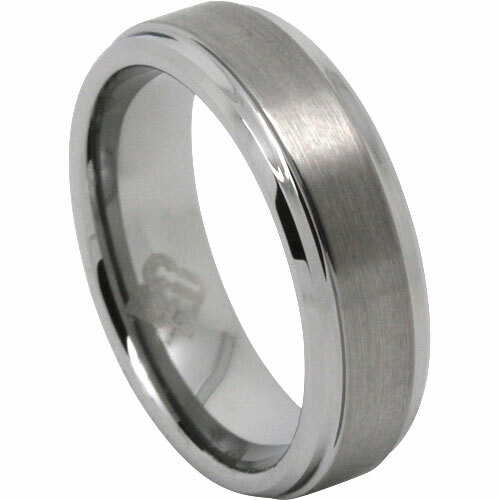 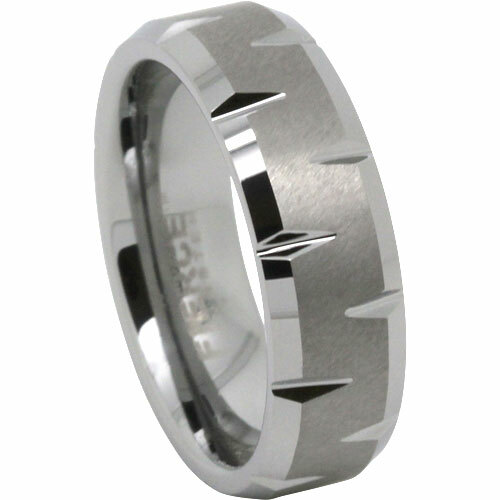 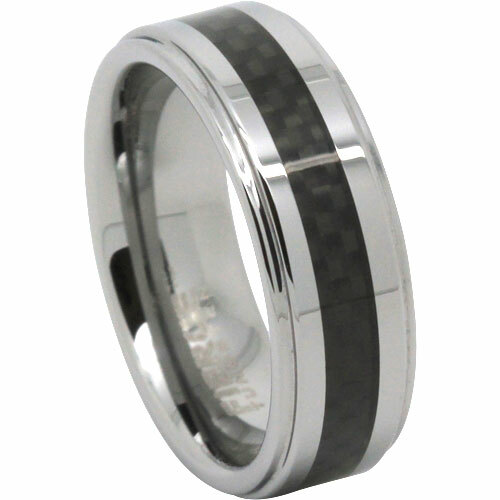 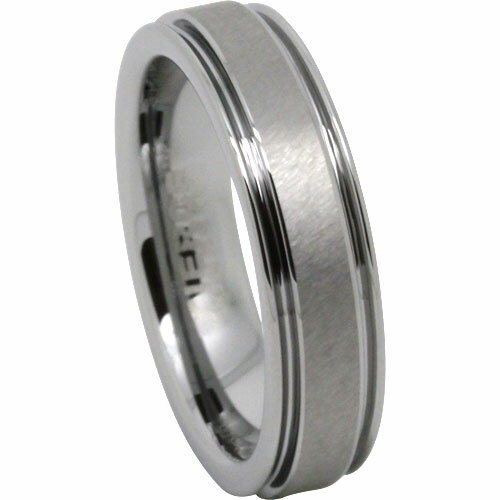 This tungsten ring is simple yet bold. 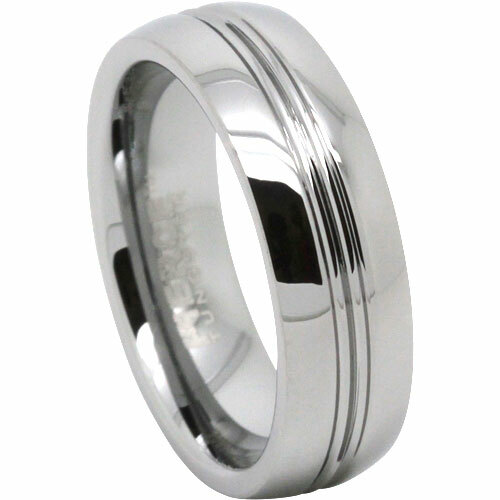 It features a polished surface and a deep grooved pattern. 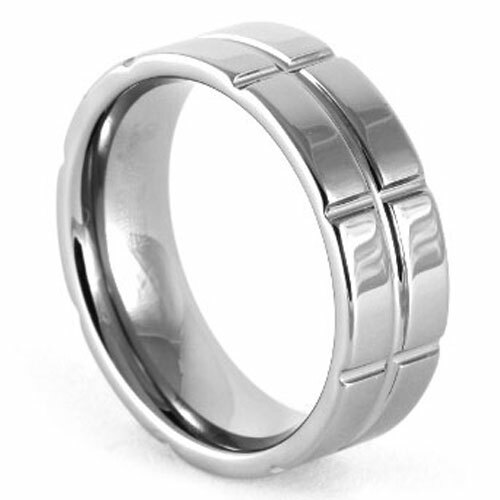 Each segment is even and create a rectangle design.